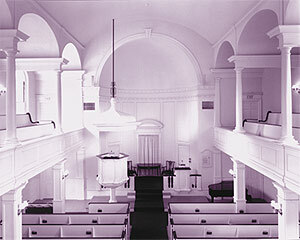 The Meeting House accommodates up to 200 people in pews and the balconies. 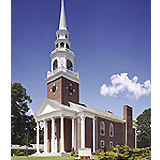 Sunday services, child dedications, weddings and memorial services are held in this building. 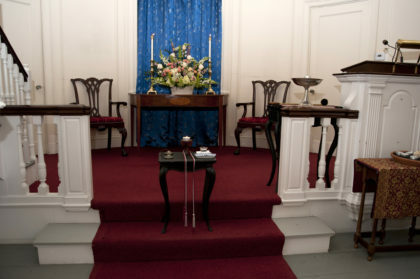 The building is wheelchair accessible from a side door, and assisted listening devices are available. 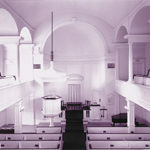 The Meeting House was built in 1926, replacing a previous Meeting House on this site.